BILL OPPENHEIM was born August 7, 1949, in Kansas City, Missouri. He grew up in Kansas, and graduated with B.A. (1971) and M.A. (1974) degrees in English from his hometown Wichita State University. He has worked professionally in the thoroughbred business ever since, as a journalist, market analyst, and consultant. He worked in New Zealand as a journalist for the INL Print stable of publications in 1974-75, and in Louisiana, as the editor of the bimonthly Louisiana Horse magazine from 1976-79. 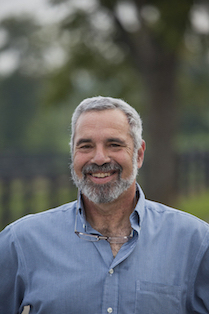 In 1978 he started the twice-monthly newsletter Racing Update with his then-employer, the late Jack Lohman, and he moved to Lexington, Kentucky, as the publication's Editor and Publisher in 1979. During the first Golden Age of Thoroughbred Breeding (1978-1985), Racing Update, which took no advertising and existed entirely by subscription, and Oppenheim and his team became known as the independent analysts used by industry professionals. During that time they originated the APEX method of stallion ratings; took over and developed Catalog Update, the forerunner of today's sales supplement books; and originated Barn Order lists, which are now included in most sales catalogs, as well as many other analytical innovations. In 1993 Bill moved to Scotland with his wife, Lou, a British native, and he sold Racing Update in 1995. From 2000-2017 he was a weekly columnist for Thoroughbred Daily News, during which time he wrote over 800 columns. Bill has also worked as a consultant to horse operations for over thirty years. His private matings consultancy clients have bred 16 Classic winners since 1992, including two winners of the G1 Epsom Derby and two winners of the G1 Prix de l'Arc de Triomphe, and he has also done consulting work for sales companies, industry and trade organizations, and many other industry professionals. In 2008 he was elected as a Member of the Breeders' Cup 'big board', and he served on the Breeders' Cup Racing and Nominations committee which helped originate its International Stallion Nominations program in 2011 and highly successful Challenge Race “Win-And-You’re In” series. He also served a term on the Board of Directors 2013-2017. Brianne Stanley received her degree in Equine Science in Texas before moving to Lexington, Kentucky to pursue a career in the thoroughbred industry. After working for Reiley McDonald's Eaton Sales and vet nursing at Haygard's Equine Hospital, she was selected to the 2004-2006 Darley Flying Start program. While on the Darely Flying Start program she traveled to England, Ireland, Kentucky, Australia and Dubai learning from the top industry leaders. 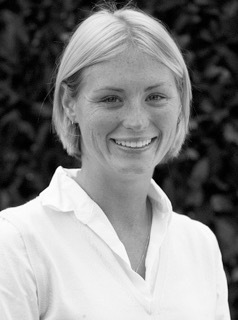 In 2006 Brianne completed the DFS course and began working with TDN columnist and pedigree consultant Bill Oppenheim. Brianne also spent several years working for Blandford Bloodstock doing yearling inspection at the sales. In 2010 she was named the Irish Breeders' Cup representative, a role in which she worked for two years. Originally from Texas, Brianne currently resides in Co Wicklow, Ireland with her boyfriend Gary Hadden who works as a pedigree consultant and manager of Coolruss Stud where they breed National Hunt Thoroughbreds and Irish Sport horses. A life-long horse person, Emily has been watching, riding, or thinking about horses nearly every day of her life. A native of Louisville Kentucky, she got hooked on racing at her home track of Churchill Downs. Her first statistics class came in a high school classroom just three miles from the historic track, when her racing-fan teacher introduced her to the math behind racing and wagering. She holds a Ph.D. from the University of Kentucky in Business Marketing, along with a B.S. in Business from Indiana University, and an M.B.A. from Xavier University. After several years working in banking she decided to engage in a more creative occupation and pursued her academic career full-time. 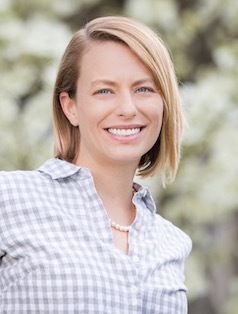 Exercising her statistical skills and passion for all things equine, her study of the Thoroughbred industry began in earnest when writing her doctoral dissertation on decision-making at the Keeneland September Yearling Auction, and has continued ever since. Formerly a tenured Associate Professor at the University of Montana, Emily now focuses on her horse obsession full time as a consultant to Bill Oppenheim.